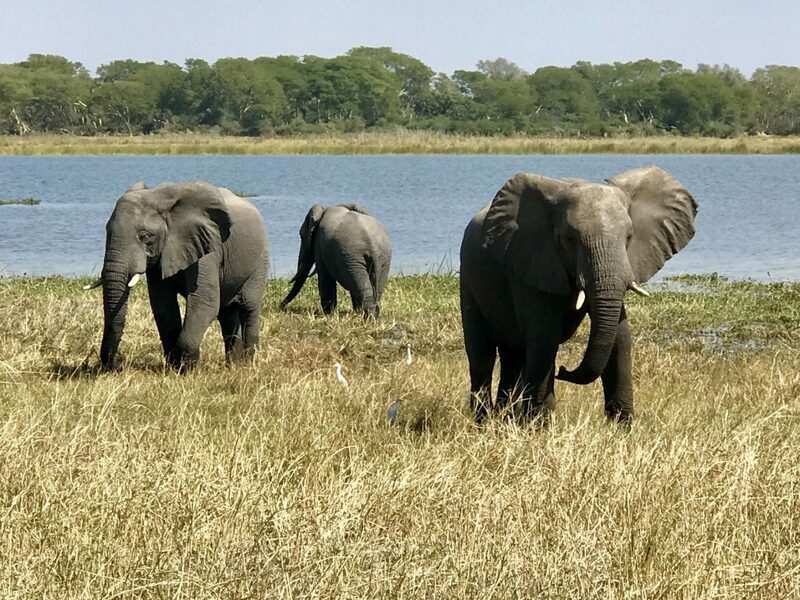 On a ten-day safari in Malawi, JS correspondent Chelsea Bengier discovers an unforgettable landscape of rust-red plateaus, lush tea estates, crystal-clear lakes, and incredible wildlife (including several angry hippos). When I signed up for an African safari, I had imagined spotting Simba in the Serengeti—not getting mauled by killer hippos. And yet, here I was: floating down the Shire River in Liwonde National Park on day five of my whirlwind adventure through Malawi, a landlocked country in eastern Africa. 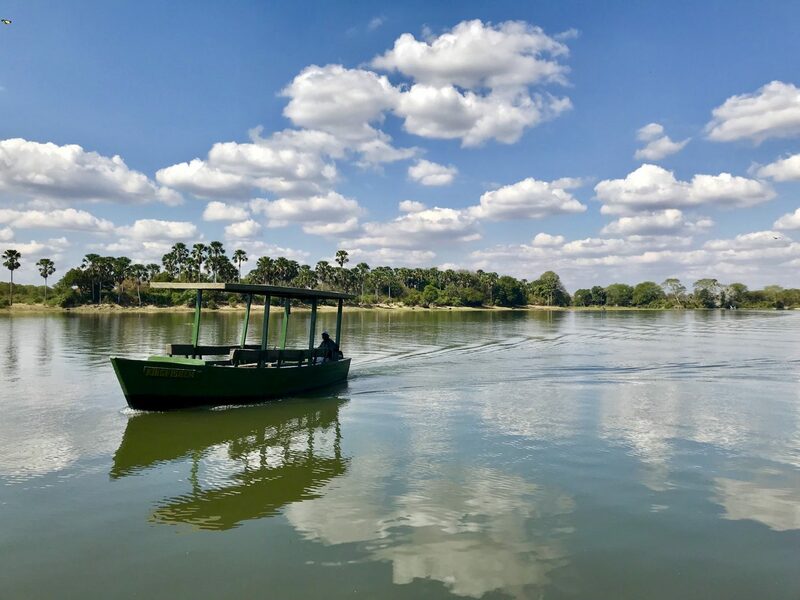 Our ranger, Chifundo—or Chief, as we came to know him—cut the engine and let the boat inch closer to the monkeys swinging from the Palmyra palm trees and the crocodiles sunbathing on the bank, their scales glistening from a recent swim. I leaned forward, camera poised, too excited to speak, when a bone-chilling snort erupted behind me, followed by the screech of teeth grating on metal. The skiff rocked dangerously to the side, and I turned around just in time to see the jaws of a giant 3,500-pound hippo clamp down on the motor. With a gleam in his eye, he gave up the fight and sunk below the murky water until all that was left was the wiggle of his stubby ears and an ominous ripple. Chief, who’s used to perilous animal encounters, laughed at our gaping mouths and sheet-white faces. He reassured us that it’s not uncommon to hit a hippo. “Hippos can smell meat in the water. But they don’t want Malawian meat—only American!” he quipped. “Just joking… hippos are vegetarians; they don’t want to eat you. They want to kill you.” Not even minutes into my first safari, and I was quickly finding out how fragile my position really was in the animal kingdom. However, this wasn’t the only surprise in store for me. 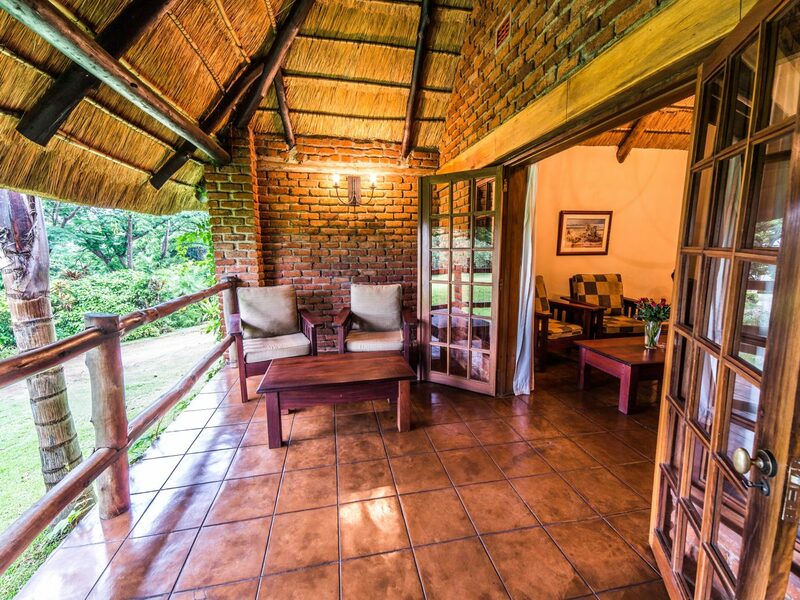 I had chosen Malawi because I was looking to go beyond the traditional safari trip. 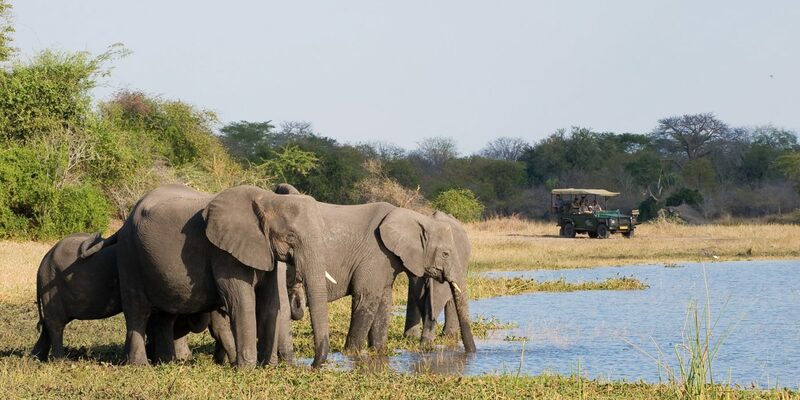 Here, jeep drives, boat cruises, and bush walks all offered prime wildlife viewing in a diverse set of environments. 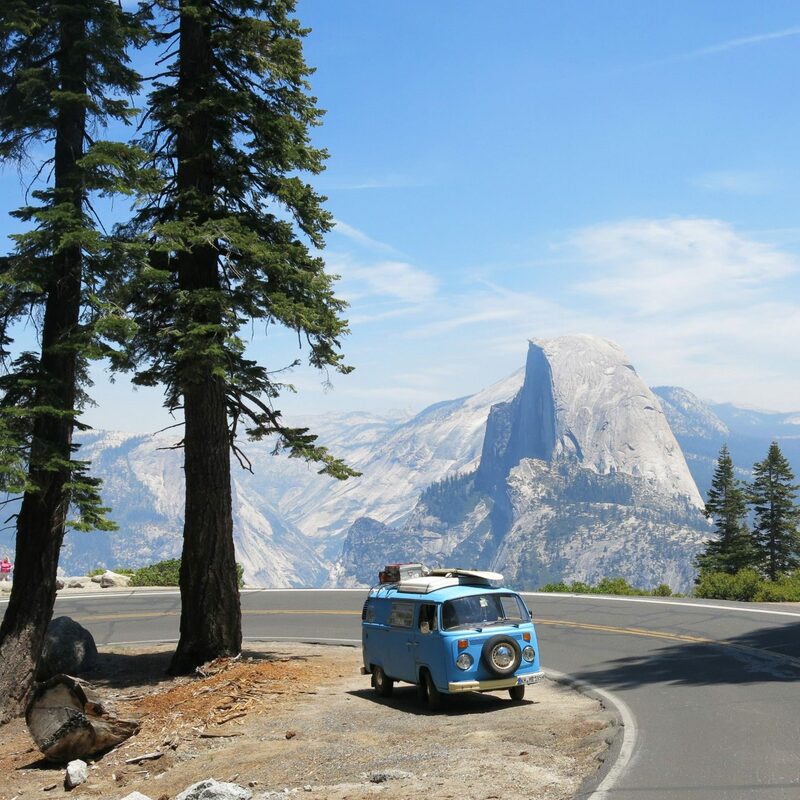 I’d spent the week rambling across the country—watching in amazement as each landscape changed from the last. 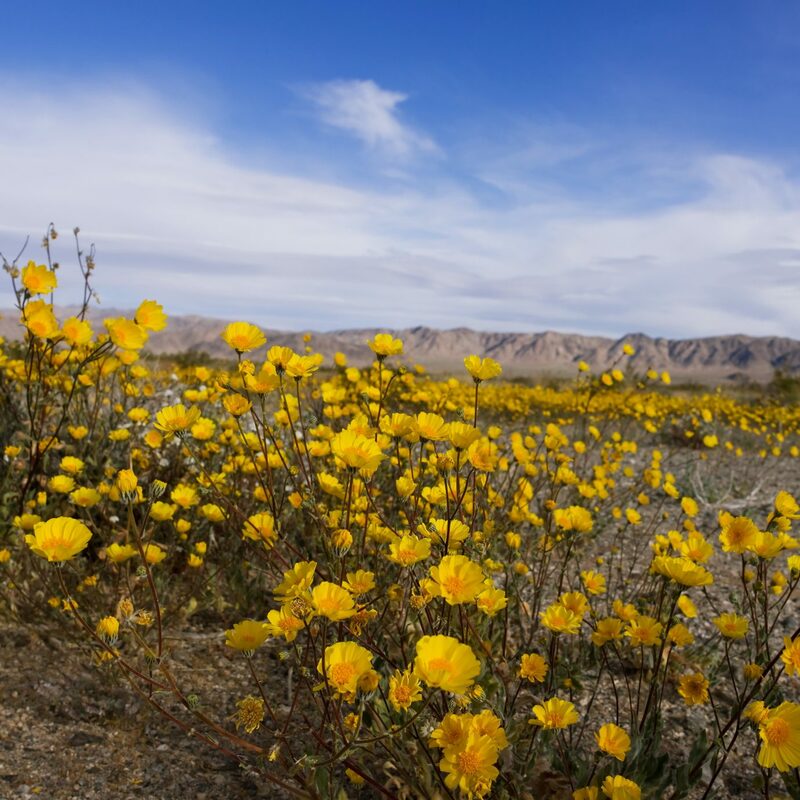 The vast expanse was rust red, barren earth, broken up by colorful villages and cattle crossing the road (just as I had pictured in my mind). 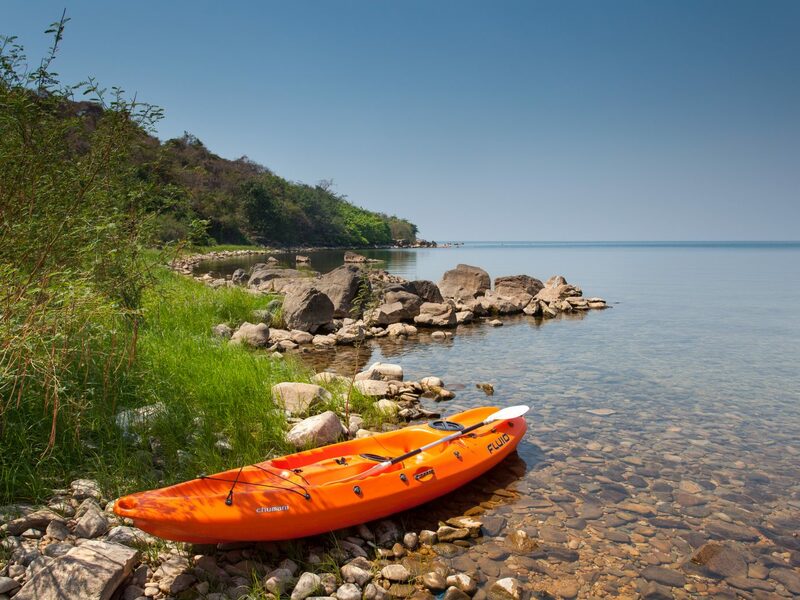 What I hadn’t expected were the patchwork of plateaus, lush tea estates, and crystal-clear lakes, the crown jewel of which is Lake Malawi, one of the largest bodies of water on the continent. 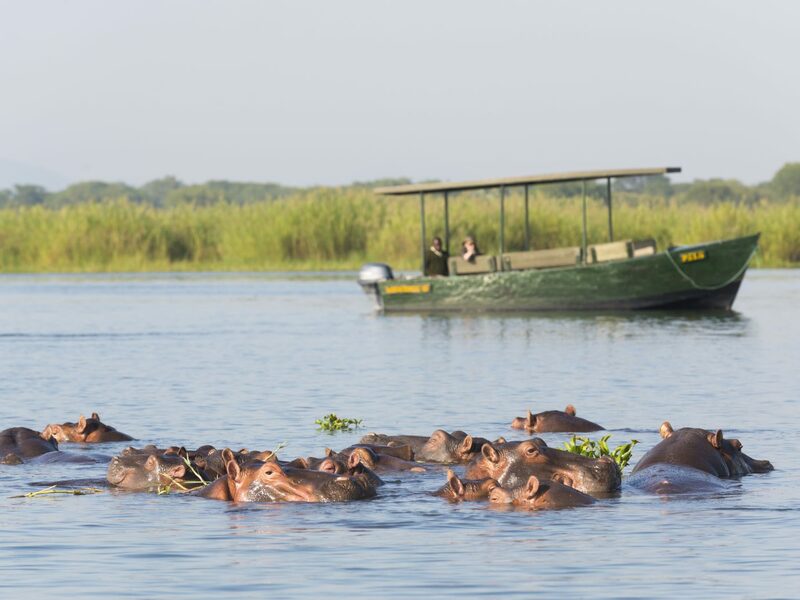 After my hungry hippo encounter, I sat down over lunch at Mvuu Lodge and listened as groups chattered about their exciting sightings: zebras, baby elephants, antelope, crocs, and of course, hippos galore. 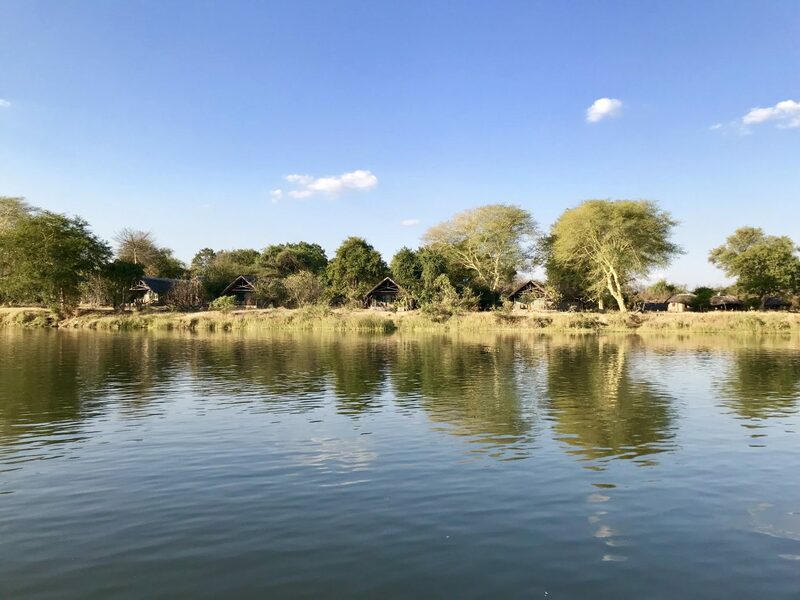 An elderly British couple next to me—the husband a safari veteran, his wife a safari virgin—mentioned how they didn’t mind if the country was a little rough around the edges, in fact they even preferred it. He’d been to fancy camps in Kenya and didn’t like how jeeps packed full of people lined up around the animals as if it were a zoo. 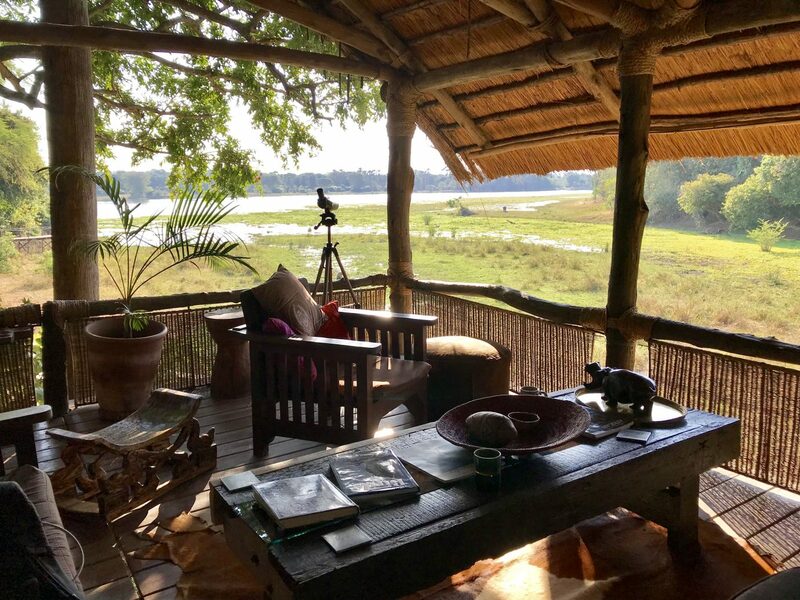 Malawi, he said, harkens back to the Hemingway days, when safaris were for intrepid travelers wanting a rugged, real-life experience out in the bush. Although some of the animals here are still shy, that’s part of the thrill—you never know what you might (or might not) spot. This rang true that night while we were driving back, disappointed to miss the elusive big cats. An owl darted in front of the jeep, which Chief described as a good omen. Not seconds later, the radio squawked as a tracker from a different group yelled he had found the lions. Pulling a quick 180, we sped bumping and bouncing through the thick brush, branches whipping at our faces, until we stopped by a 4×4 of travelers. Unable to contain himself, a teenager from the other luckier party blurted, “I SAW LIONS!” Filled with hope, we sat silent for what seemed like hours, our eyes scanning the darkness for any movement and our ears flooding with the grunts of hippos, the flap of eagle wings, and finally, the roar of a lion. In the end, I never did see Simba. But I know he’s out there, somewhere, and one day I’ll go back and find him. After all—the fun is in the chase. Here’s what I discovered in the Warm Heart of Africa. Lilongwe is the capital city and melting pot of Malawi. It is divided by the Old Town—which has the feel of a centuries-old riverside fishing village with cafes and markets—and the New Town, a bustling business hub where expats and locals live and work. 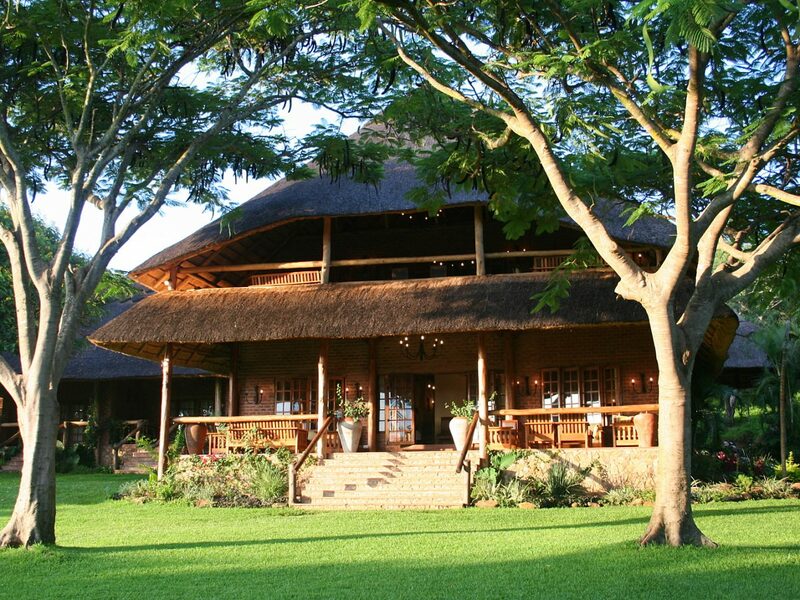 Following in Madonna’s footsteps, I stayed at the elegant Kumbali Country Lodge. 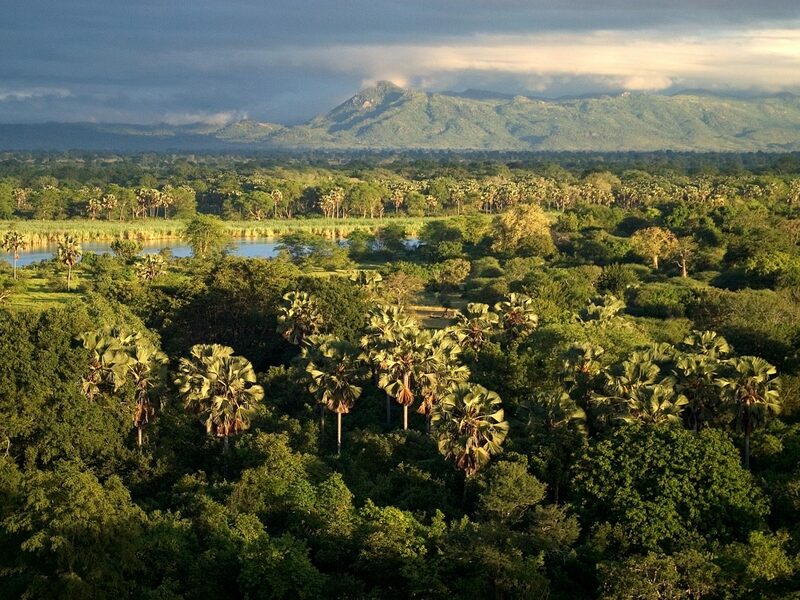 This sprawling 1,600-acre forest reserve feels a world away, tucked down a windy, dirt road just 10 minutes from the city center and the Presidential Palace. 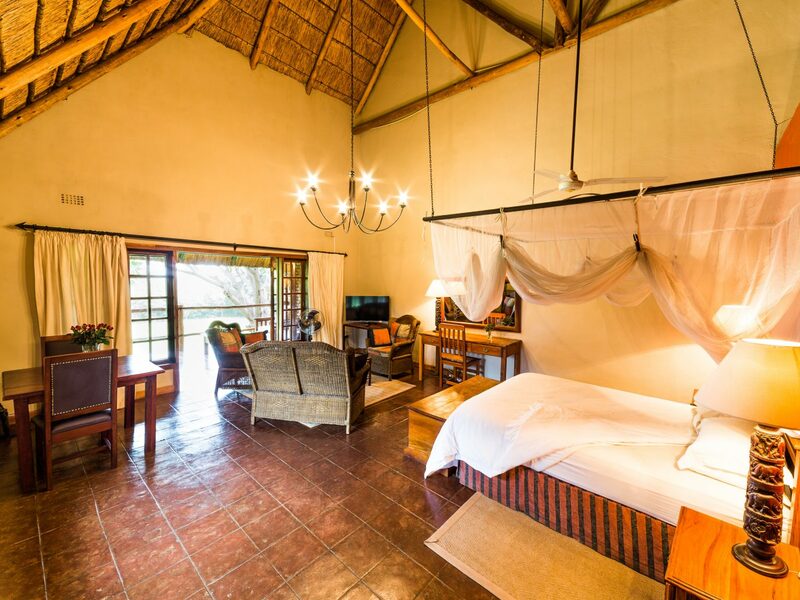 The pristine property has 16 thatched, earthen suites with private verandahs overlooking the manicured grounds and swimming pool. 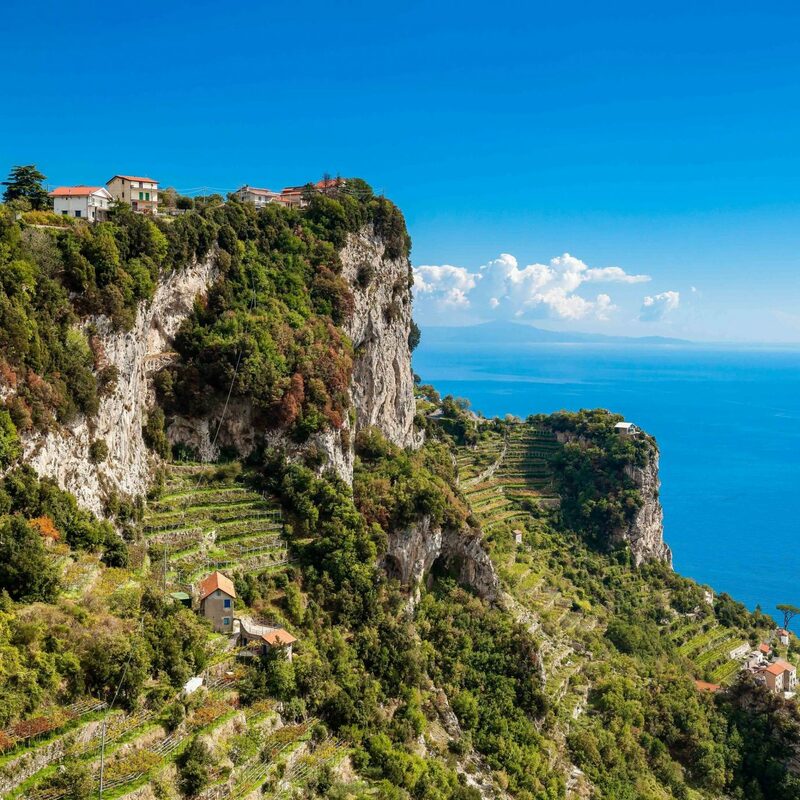 There’s an on-site vegetable garden, orchard, and dairy farm, which produces the resort’s own homemade yogurt and goat cheese. 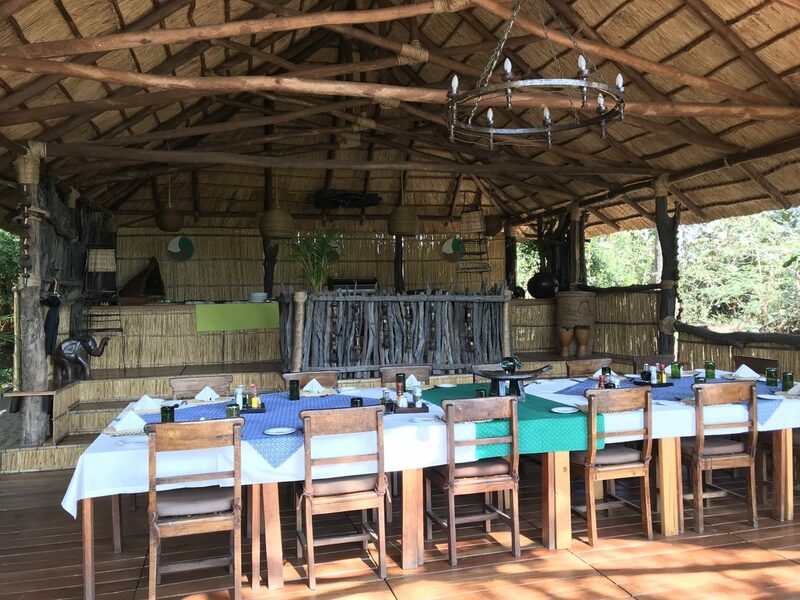 Steps away is Kumbali Cultural Village, where you can try local dishes, such as nsima (a grain flour staple) and mandazi (a fried dough dessert with honey). 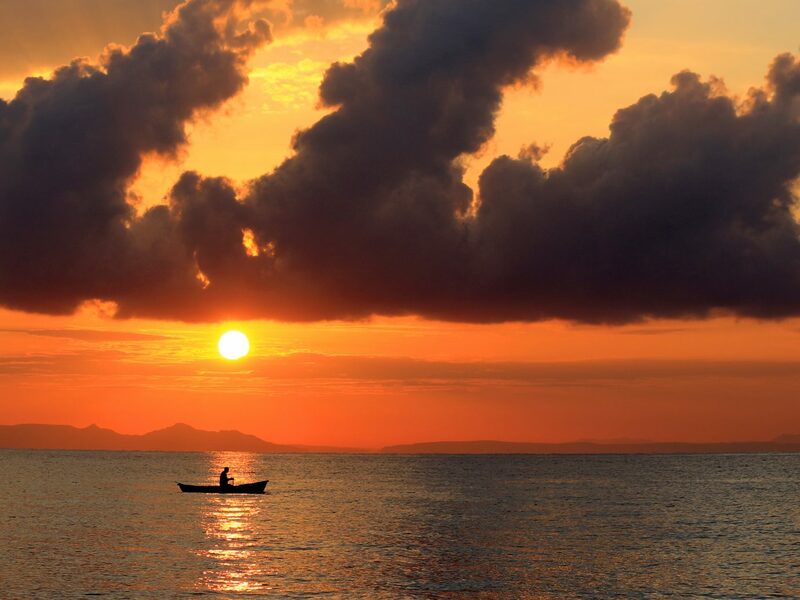 At 365 miles long and 52 miles wide, Lake Malawi is the third largest lake on the continent and one of the country’s most prized sites. The crystal-clear water, lush islands, and white-sand shore makes it look more like the Caribbean than an African Great Lake. Makokola, nicknamed Club Mak, is a western-style resort on the southern tip of the lake near Monkey Bay. 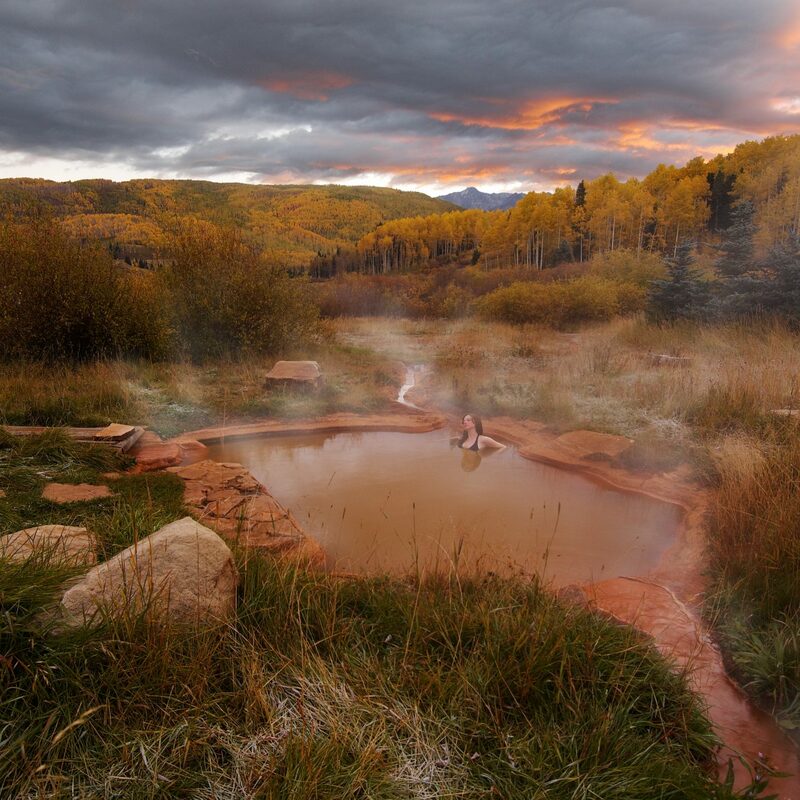 It has its own airstrip, conference center, beachside bar and restaurant, yacht charter, nine-hole golf course, and spa, which offers plant-based treatments like Baobab facials, Kigelia Africana wraps, and Marula massages. Fresh off a massive expansion, the property debuted 22 glam waterfront villas with their own private infinity pool. 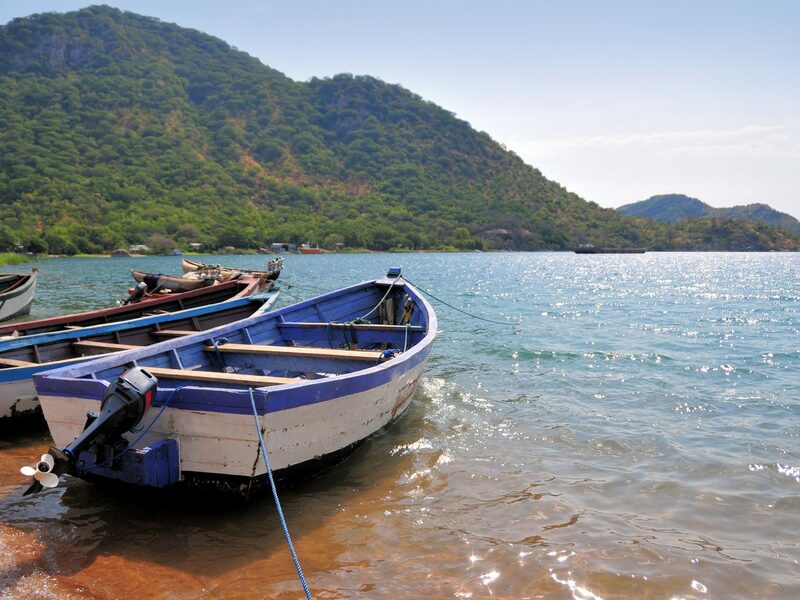 Climb aboard a dhow (traditional wooden boat) to catch the sunset blaze over the Great Rift Valley’s hazy peaks, or cruise over to Fish Eagle Island to watch the massive birds snag their next meal. When I dream about going completely off the grid, I picture the Blue Zebra Lodge. 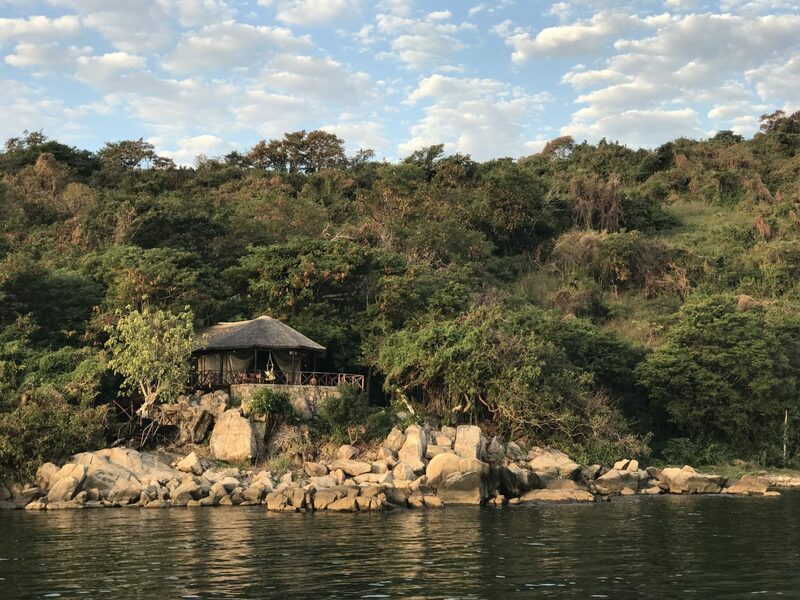 A 20-minute boat ride from Salima brings you to this eco-friendly, private island escape on Nankoma, one of three uninhabited inlets that make up Lake Malawi’s Marelli Archipelago. 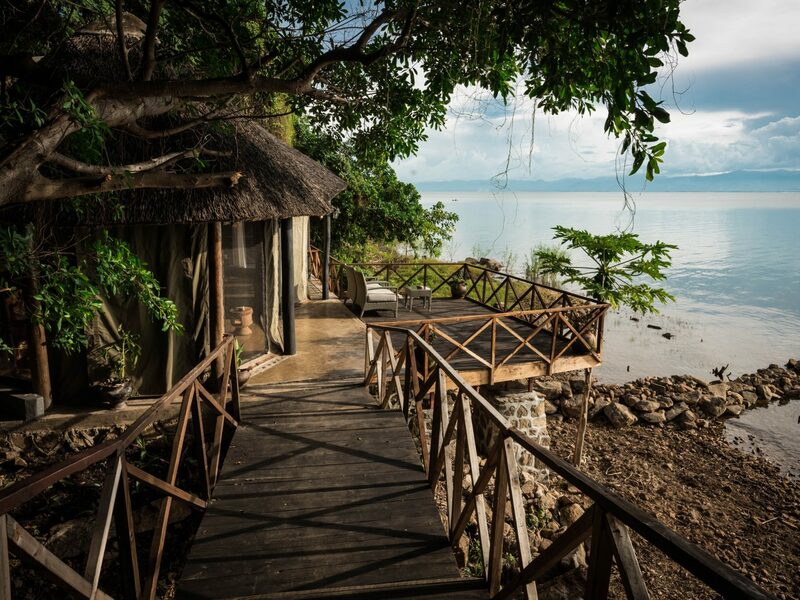 Fifteen secluded tent villas are hidden among overgrown groves and tamarind trees, each with its own view of the lake. The property is so remote that it only has six hours of power every day. I watched the sunrise from my deck hammock and retired by lantern light, letting the waves lull me to sleep. 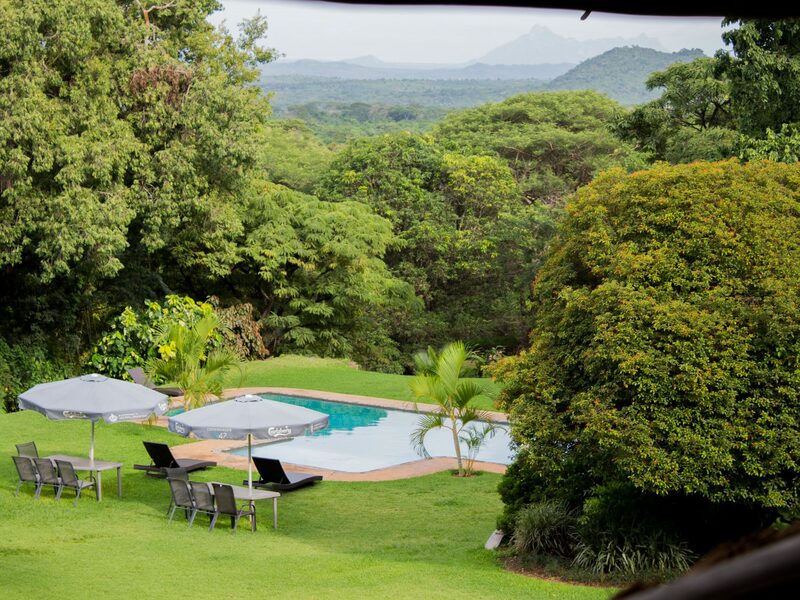 Afternoons were spent drinking poolside gin and tonics (with local Malawi gin), water skiing, hiking the trails that circle the island, eating lunch with bush babies in the branches overhead, kayaking along the rocky peninsula, and snorkeling or scuba diving to see more than 600 species of cichlids—the tropical, freshwater fish that the lodge was named after. After getting some R&R, I set off to the Mua Mission to learn more about Malawian culture. The historic site features a school, maternity hospital, and the Kungoni Centre of Culture & Art, which was established 40 years ago by Canadian missionary and anthropologist Claude Boucher. Today, Kungoni is home to the Chamare ethnographic museum—tracing the Chewa, Ngoni, and Yao tribes—as well as a research library, lodge, women’s cooperative, and art gallery that sells handmade wood carvings (my favorite souvenir). The two most treasured collections are the gule wamkulu masks of the Nyau secret societies and the 16,000 diary pages, dating back to 1902 when the mission was founded. 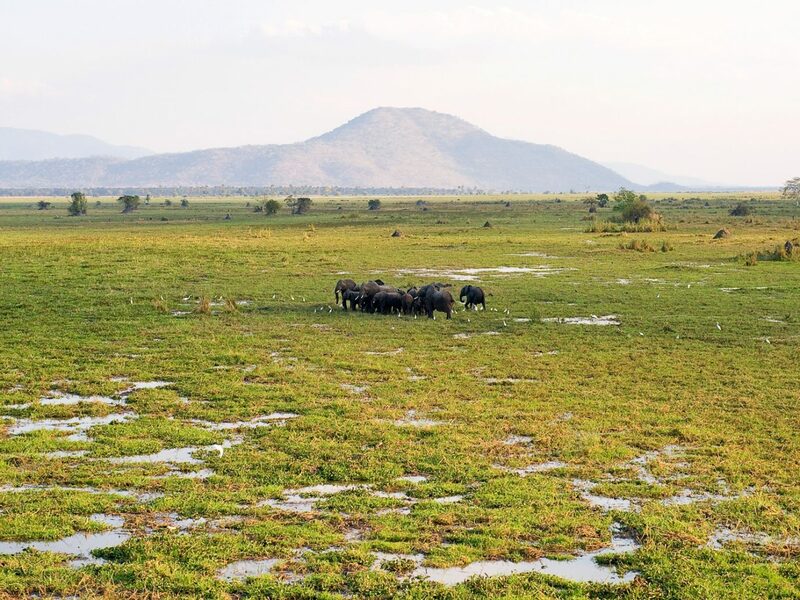 On the banks of the Shire River, Liwonde National Park is the only place in Malawi to see the Big Five. 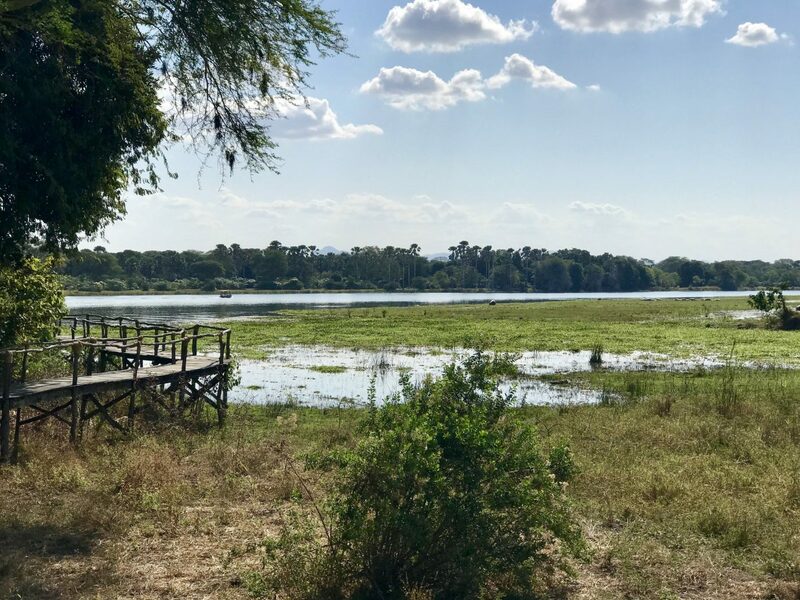 The 210-square-mile reserve is made up of floodplains and woodland, allowing you to explore via boat safari, bush walk, and game drive. Thanks to recent repopulation, there are now around 12,000 animals, including elephants, lions, black rhinos, cheetahs, buffalo, crocodiles, leopards, hippos, zebra, baboons, and kudu. 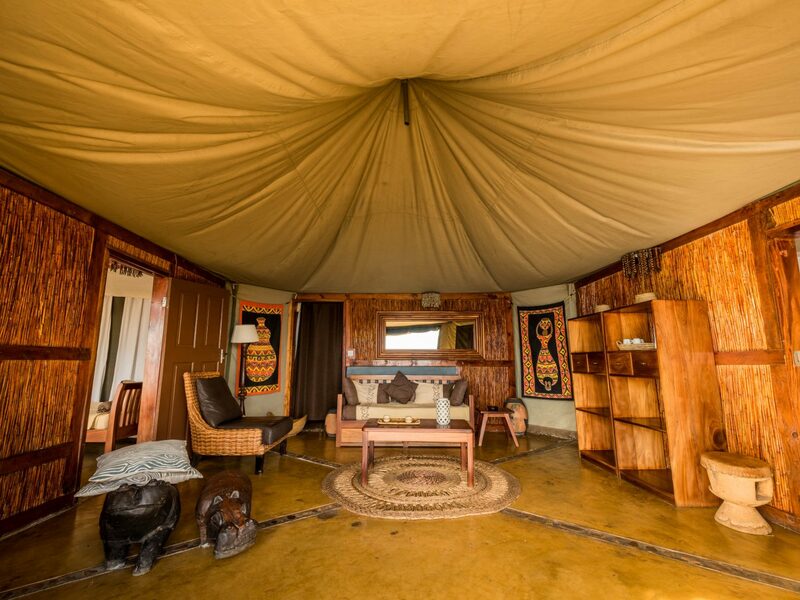 There are two high-end camps within the park: Kuthengo by Robin Pope Safaris, which opened in April, and Mvuu Lodge. The latter has large cabins with outdoor showers, mosquito-net beds, and furnished decks overlooking the marsh. It’s also ungated so animals can wander at leisure; I had monkeys meet me at my door in the morning and a warthog snoozing under my porch at night. 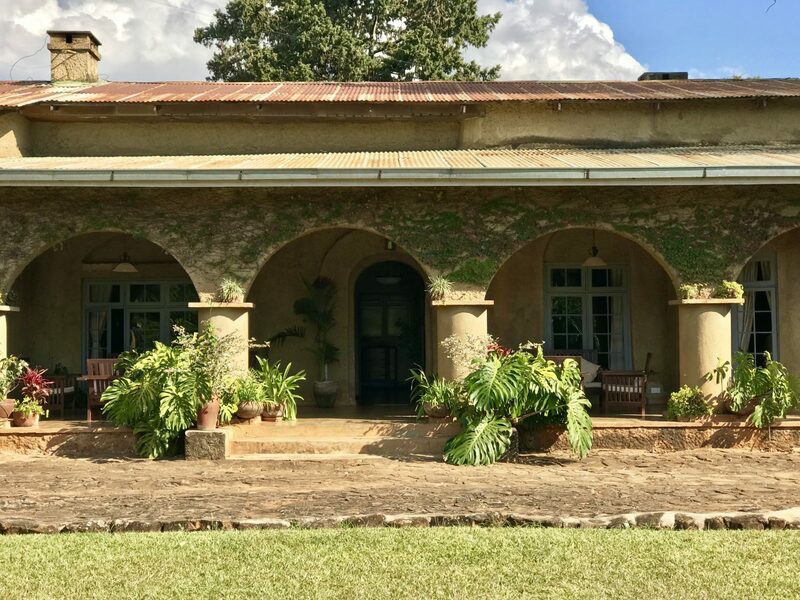 Surrounded by rolling green countryside, the 1930s Huntingdon House is an oasis on the Satemwa Tea Estate. Play a game of badminton on the lawn, go for a stroll through the blooming gardens, or sip tea on the terrace. The family-owned plantation has 800 hectares of tea, 300 hectares of blue gum trees, and 90 hectares of coffee. 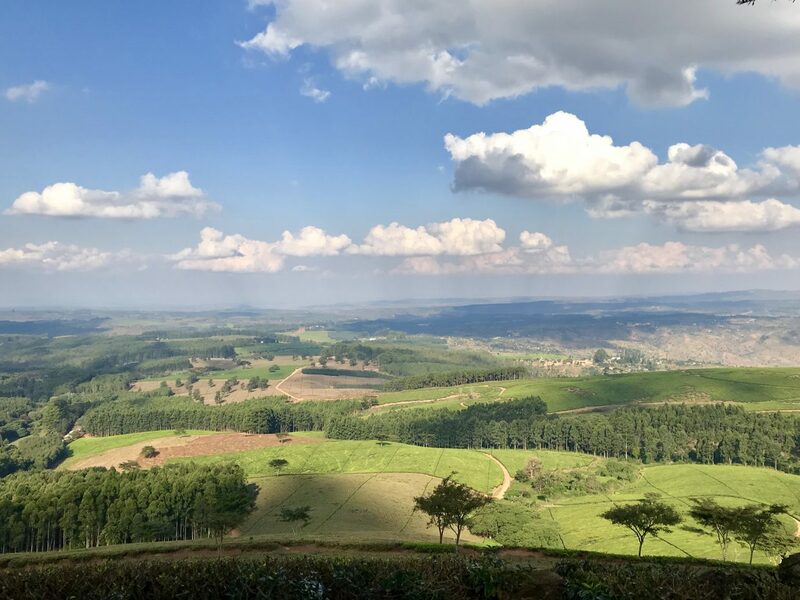 A scenic picnic spot is perched on top of the estate, with sweeping views of Blantyre and the Great Rift Valley—the birthplace of humankind.